Equal parts oral history and analysis of craft, What it Means to Write About Art offers an unprecedented overview of American art writing. Coinciding with its launch in the UK, Jarrett Earnest turns towards the status of art criticism in the Britain. He is joined in conversation with writers and critics Adrian Searle, Farah Nayeri and Georgina Adam, in a discussion that continues to assemble one of the most comprehensive portraits of art criticism, as told by the leading writers of our time. In association with David Zwirner Books. Adrian Searle has been chief art critic of The Guardian since 1996. He has also written for El Mundo and The Independent. Trained as a painter, he began writing art criticism in 1976 for Artscribe magazine. He has also written for Artforum, Parkett, frieze and other art magazines. Searle has also contributed to numerous books including Peter Doig (Phaidon, 2007) and ON&BY: Luc Tuymans (Whitechapel/MIT 2013), and was the editor of Juan Muñoz Writings (La Central, Madrid, 2009). He has curated several exhibitions and was a Turner Prize juror in 2004, and juror for the Schwitters Award, Hanover, 2009–13. He has also taught at numerous art schools in the UK and Europe. Jarrett Earnest is a writer and artist living in New York City. From 2014–2017 he was faculty at the free experimental art school Bruce High Quality Foundation University (BHQFU), running their MFU programs in New York and Miami. 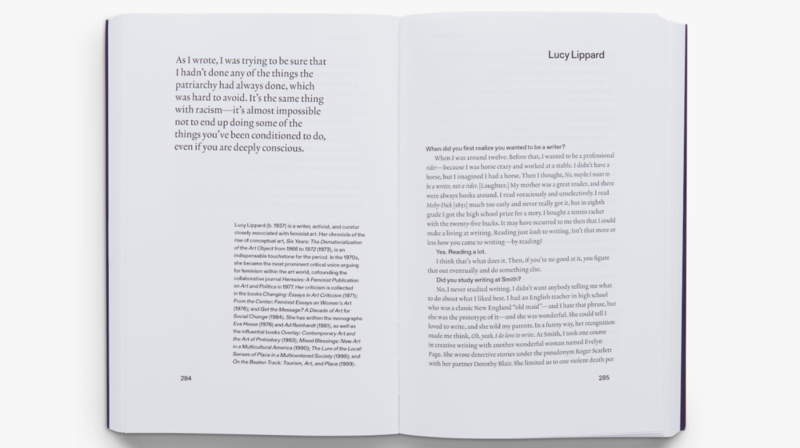 He co-edited the volumes Tell Me Something Good: Artist Interviews from The Brooklyn Rail (2017) and For Bill, Anything: Images and Text for Bill Berkson (2015). His writing has appeared in The Brooklyn Rail, The Village Voice, Los Angeles Review of Books, Art in America, and San Francisco Arts Quarterly, among others. Farah Nayeri writes on culture for The New York Times. Based in London, she covers visual arts, classical music and film. She has also written for the arts pages of The Economist and The Wall Street Journal, and was previously the London arts correspondent of Bloomberg. Contributor to the Financial Times, The Art Newspaper, Georgina Adam has spent more than 30 years writing about the art market and the arts in general. She was editor of the Art Market section of The Art Newspaper 2000-2008, then editor at large. She wrote a weekly column for the Financial Times for eight years, until 2016. In 2014 she published “Big Bucks: The Explosion of the Art Market in the 21st Century” (Lund Humphries) and in 2018, “Dark Side of the Boom: the excesses of the art market in the 21st century” (Lund Humphries). In addition to her specialisation in the art market, Adam is particularly interested in emerging cultural centres. She lectures at Sotheby’s and Christie’s institutes in London and participates in panels about the market: she is a board member of Talking Galleries, patron of the Association of Women Art Dealers and member of the International Association of Art Critics (AICA) and The International Art Market Studies Association (TIAMSA). She is also membership chair of Cromwell Place.